Roulette has been a casino staple since its invention in France during the 18th Century. The game’s simplicity is what gives it its enduring popularly. If you’ve ever been to a real-life casino, you have almost certainly seen a game of roulette being played. Players place bets on the position a small ball will land when after it has been sent orbiting around a spinning wheel that is divided into red and black portions. Each of these portions is numbered too. Playing roulette online is essentially the same as playing roulette in a casino. There really isn’t a great deal of difference. Of course, you won’t get to enjoy quite the same atmosphere online. However, you also don’t have to wait for the croupier to shout “no more bets, please” before you can see if you’re a winner or not. 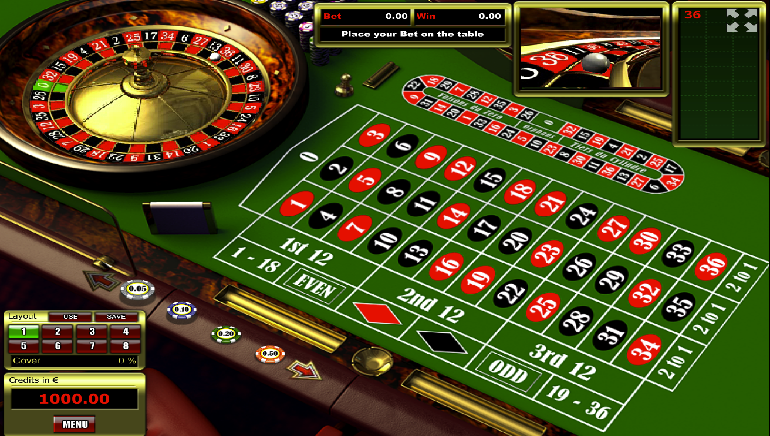 Other elements of the online roulette experience have also been optimised to favour players who favour speed. Players can use the “re-bet” option, as well as a “re-bet and spin” option. This means they don’t even need to put their chips down for a second time if they want to keep their bets the same. Many players like these options because of the speed that they bring to the game, that and the superstitious part of them means they always want to use their lucky numbers! Around the edge of the numbered grid, you will see various options. These are known as outside bets. They will all be labelled and usually have the pay-outs listed on them. All these outside bets lose if the numbers zero or double zero land. These bets will win if the number the ball lands on is in the range bet on. They usually pay at 1:1. These bets will win if the ball lands on the same colour as the bet is placed on. They too pay at 1:1. Bets placed on “even” will win if the number that lands is even. The opposite is true for bets on “odd”. These bets pay 1:1. Players can bet on the first (1-12), second (13-24), or third (25-36) block of 12 numbers. They will win if the ball lands on any number within the relevant block. These bets pay 2:1. The board is also divided into blocks of 12 numbers vertically. These bets work the same as dozen bets and pay 2:1. As well as the outside bets, players can bet on which numbers the ball will land on. These bets pay much higher (35:1). In addition, they can bet on two, or four, numbers with the same chip. These bets are placed by overlapping the chip onto two or four of the numbers. If each chip was worth £10, one chip overlapping two numbers would essentially be a £5 bet on each. Meanwhile, a bet overlapping four numbers would be a £2.50 bet on each. Roulette is a game that is available at most online casinos with Palace of Chance with its no deposit bonus standing out. Interestingly, bets on a single number pay at 35:1whilst bets on two and four numbers pay at 17:1 and 8:1 respectively. More on this in a minute. Since it’s entirely luck based, there are only a few ways to maximise winnings playing roulette at an online casino. The first tip in this regard is to never play at an American roulette wheel. The inclusion of the number zero gives the house its edge. The inclusion of a second zero (double zero) on American roulette wheels doubles the house edge. If there is a choice (there usually is at online casinos) play at the European table. Second, never place bets with a single chip that cover more than one number. You can see from the pay-outs we listed above, you increase the house edge by spreading a chip over two numbers. This is further increased if the bet is spread over more numbers. Bally Technologies is a company that has provided the international and US gaming industry with innovative video game machines, systems, mobile and table games and iGaming solutions that bring high revenue to game publishers since 1968. This casino game developer is headquartered in Las Vegas, and it built its success by acquiring different smaller gaming companies. One such company is United Coin Machine Company, known as one of the largest slot operators in Nevada, which they acquired in 1979. In the 1980s, this company was already valued close to 1 billion dollars. 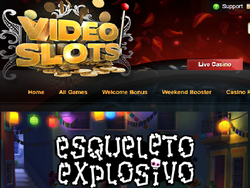 Since the 2000s, it has been entertaining online slots players as well. Titanic is an action-packed slot based on the 1997 movie with Leonardo DiCaprio depicting the tragedy of the then biggest ship ever built. It is a 5-reel, 25-payline slot with different options, such as jackpot scatter pays, mystery double wilds, mystery wild reels, Jack’s drawing mystery, the wheel, and the mystery jackpot feature. To hit the jackpot, you have to land two or more JackRose double wild, JackRose wild or JackRose symbols, and the payout varies up to 500x coins of your total bet. Even better, if you win the Jack’s drawing mystery feature, you can win up to 2000x coins of your total bet. Slot players that are looking for the classic games can try Bally’s Cash Spin slot, which features 3-reels, but 25-paylines. You can wager a maximum of 200 coins in a single bet and has an exciting wheel bonus. It is themed around the widely popular TV game show called Wheel of Fortune. Cash Spin is one of Bally’s finest examples combining touch-sensitive screens and the V32 game cabinet making use of the U Spin technology, but you can find this game online as well. If you want to play quirky, but extremely fun slot games, Bally offers you the Rocket Returns slot, an action exploding, fireworks-themed slot features classic symbols like the BAR and 7s symbols. It is very minimalistic, yet inviting and entertaining, featuring a weird layout of the reels. It is not your classic 3-reel slot, but it surely feels like it. 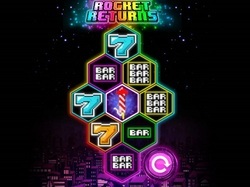 Rocket Returns combines simplicity and that nostalgic old-school feel with the modern and innovative world of gambling today. The world’s most powerful and sexiest female-superhero designed to deliver your fortunes. It is actually based on the classic 70s series with Lynda Carter as the Wonder Woman fighting off bad guys in skimpy red-and-blue outfit. This slot will reward you with up to 25 free spins, and there are mystery stacks, expanding wilds and the Wonder Woman Gold feature. If you land a wild symbol on reels 2, 3 and 4, they will expand and usually will trigger a winning line. Free spins are activated with the gold coin symbol. It features 5 reels and 40 paylines. Every game innovator has at least one Asian-themed slot, and we all love those oriental themes. What is better than playing a dragon-themed oriental slot like Dragon Spin? The new level of visuals employed in this slot set it apart from other games. There are three different features such as the mystery-stacked reels, dragon spin bonus and raining wilds free spins features, as well as five progressive jackpots inside. Video Slots is a well-rounded package offer, despite the fact that its name may suggest a rather limited game selection and service. As a matter of fact, one can state that this online gaming provider is one of the most complete services of its kind, once you get inside its structure. With a multitude of games, fully legal and reliable operations and a lot of player benefits, it’s a sure recommendation for any online gaming enthusiast. Players can easily find the type of the game that suits them the best by selecting one of the offered sections: video slots, jackpots, table games, video poker and scratch cards in Video Slots’ selection. Even though the number of games is huge, several titles that always catch players’ eyes are Starburst, 300 Shields, Medusa II, Agent Jane Blonde and Weekend in Vegas. One thing you should be aware of for practical reasons is that Video Slots is available on both desktop and mobile devices. Those that own smarpthones and tablets which run on the most popular mobile operating systems such as iOS and Android can access the site by typing in its web address. This impressive mobile game catalogue counts more than 360 games powered by various provides including NetEnt, Betsoft, NextGen, Microgaming and Play’n Go. The live dealer casino section is just as worth mentioning, especially since Video Slots players can enjoy multiple varieties of top popular games blackjack and roulette. The bonus offers and promotions at Video Slots start off with an industry-standard Welcome bonus, but additionally include some player privileges and rewards for more experienced, regular customers. Regardless of the player type they are directed at, Video Slots’ bonuses are generally seen as fair and reputable across all available territories. In this line of thought, there is one player benefit among the promotions that should be pointed out – the Video Slots VIP Program. Loyal players that qualify on this ranking system are bound to experience some of the top advantages in cash, status and above all, entertainment. 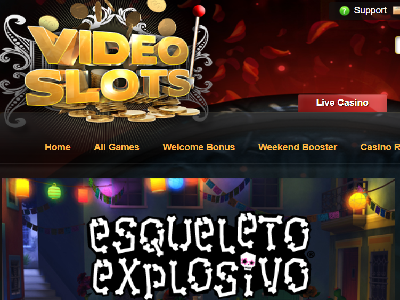 With such enticing player offers, it is no wonder that Video Slots’ player traffic is growing by the day. In order to keep up with the increase in traffic volume, Video Slots have had to introduce additional measures on each segment, including that of banking options. While withdrawals normally feature less processing options than deposits, Video Slots players still have a rather lengthy list at their disposal – American Express, Visa, MasterCard, Bitcoin, Bank Transfer, Skrill, Neteller, EntroPay, EcoPay, InstaDebit and Trustly. In addition to these processing services, deposit requests can be submitted with the following list of payment methods – Sofort, UseMyFunds, SIRU Mobile, PaySafeCard, EuTeller, AstroPay card, Paylevo, POLi, SMSBill, iDebit, Puggle Pay and Flexepin. Security is hardly an issue for Video Slots players, although it is much easier said than done. In order for the platform to reach that extent of stability, the operator has taken up the task to oblige with the mandatory provisions in order to get licensed by gambling authorities in Curacao, Malta and ultimately the UK Gambling Commission. This included application of SSL encryption certificates, as well as employment of a leading audit company to regulate the games’ provable fairness. While players have RTPs at their disposal, issues are known to arise due to technical or human error. In response, they can seek assistance at one of the customer support contact options at VideoSlots.com – email, live chat, home address, phone line or FAQ base. The NetEnt, the online gaming software provider and global giant in its industry, has a reputation of setting up a feeling of expectation regarding their latest slot game creations. 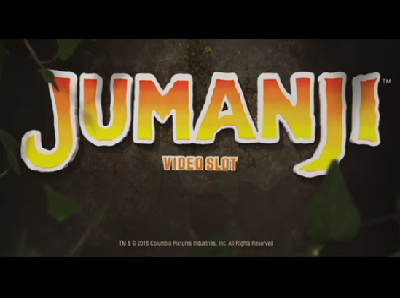 When it comes to the Jumanji slot, it is safe to say that they are sure to outdo themselves in one aspect of the matter. The long-announced Jumanji slot, like any other NetEnt release, is set to provide players with a smooth and seamless game play experience. However, in order to reach the maximum possible outcome, it is good to learn a thing or two things that make it all come together. As the slot's name implies, this release by NetEnt is another one in the line of slot games inspired by great moments in other areas of entertainment. After all, the rock band music-themed selections of slots speak loudly enough of NetEnt's tribute to their contribution in the industry, and more. Getting back to Jumanji, the slot gets its name and initial inspiration from the box office hit the name, starring the now late Robin Williams. It had not been long since it was alive, a family classic motion picture. Proving this is the recent 2017 sequel of the same movie, Jumanji: Welcome to the Jungle. Incited by this, as well as the desire to revive such works of multimedia art, NetEnt have taken on both a demanding and rewarding task. While the subject of the theme and the excellent performance in terms of visual, audio and other technical aspects is undisputable, there is still the issue of the slot features. Considering the official video release made by NetEnt, it is safe to assume it will contain some of the characters of the 1995 movie, maybe even some of the scene they thing for their public announcement. Regardless, as any other online game slot appassionato would claim, the sole fact that it is done by NetEnt gives the project all the more credibility. As a result, players should expect nothing short of a highly rewarding game with a high RTP rate and a bonus game. Players are expected to have Jumanji slot by the end of Q2 of 2018, available at every popular NetEnt casino. Recent public announcements have been published by NetEnt 's newly formed partnership with Sony Entertainment. While Jumanji, it is also a sign of the giant software, it is also a sign of the immense quality to be accumulated in this upcoming slot. Do not take anybody else's word for it, as well as a little bit of fun in the CGI animations and action build-up, since the initial public showcasing at the ICE convention.